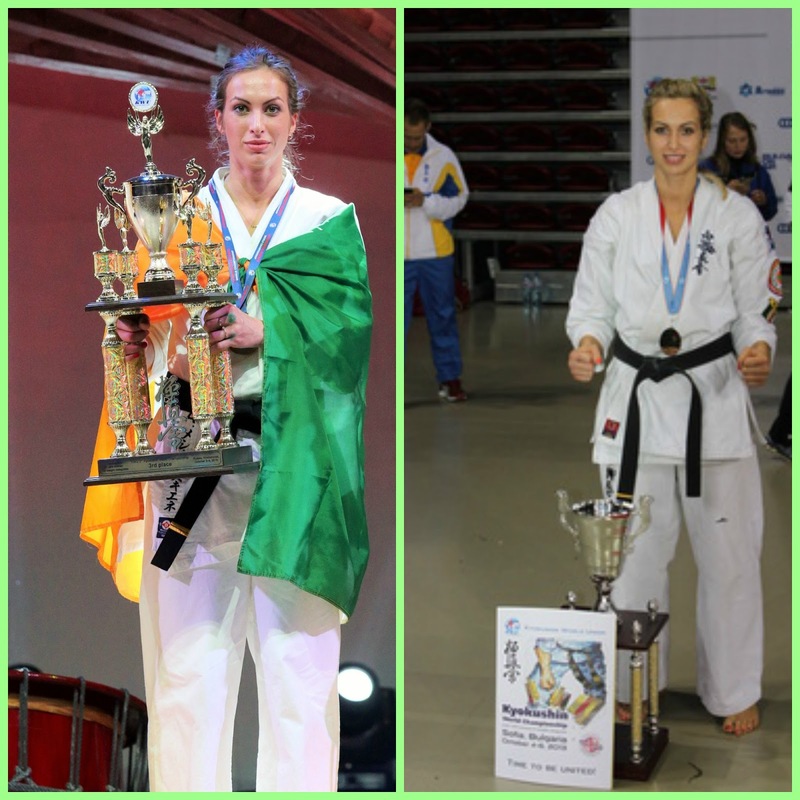 Meet the amazing 30 year old Lithuanian and now Ireland resident World Champion in Kyokushin Karate, Aneta Meskauskiene, mother of two and wife with a full time job at Accenture. I had the privilege of doing a training session with Aneta to get an insight into her sport and see the champion herself in action. I was so impressed with her skills, her focus and determination. She has been involved in Kyokushin Karate for several years now and has represented Ireland in many international competitions. Her best results to date are: 2nd place in the World Championship in Sofia, Bulgaria and 3rd place in the recent World Championship in Khabarovsk, Russia. Aneta started Kyokushin Karate in 1993 when she was only 7 years old. With an historical background Aneta discovered karate after her parents moved from Russia to Lithuania which at the time had only gained its independence from Russia. It was a tough time and the country was offering very few opportunities. Her parents decided to enroll her in the local karate club to boost her self-confidence, and also to help her learn Lithuanian. They thought it would be a great way to make new friends. Soon after, she started to compete in Lithuanian national competitions. Her former coach Gintaras Cemnalianskis told her she had rare potential and a promising future. When turning 14-15 there were issues in her personal life to deal with including arguments with parents and coaches. She then took the decision to walk away from her beloved sport. She made the best of those 10 years away from Karate and didn’t waste anytime. “I finished school, started college, moved to Ireland, met my future husband, finished my Bachelor Degree in Law, started my Masters in Financial Markets, and had two wonderful children. Yet, despite all my achievements I still felt deep down that something was missing throughout all that time. I personally suffer after two weeks break from weight training so I can only relate to what Aneta has gone through. When she tried to reach out to her former sport buddies she found out that they had either become coaches, teachers or had stopped practicing years ago like herself. Thanks to the support from her new coach Eugenijus Silaika and by literally taking one step at a time she managed to achieve her brown belt and to strive for a higher rank black belt. She even took part in her full contact knockdown tournament in Holland that year. Although she lost the fight she felt accomplished and proud of herself. Coming after a 10 year break, competing in her first year back was an achievement in itself. Ireland was back on the map! When her maternity leave came to an end she had to resume her full time job (Harvey Norman at the time). She was determined to keep practicing and competing. 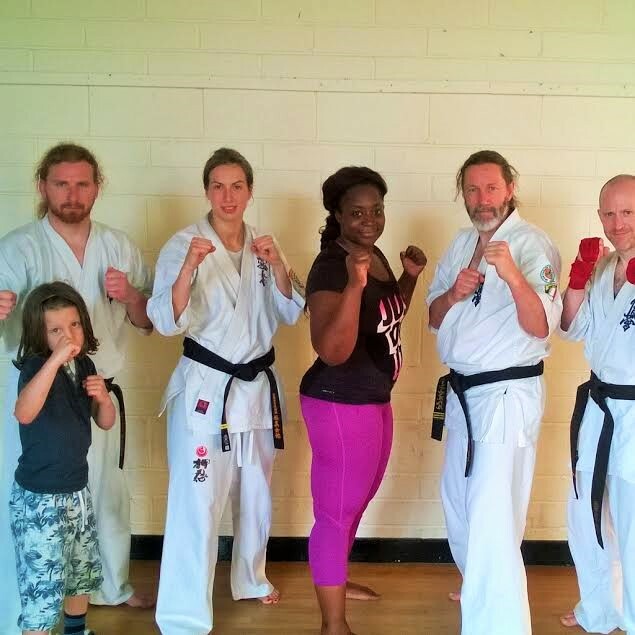 Finding the perfect Kyokushin club in Dublin and great coaches Shihan Kevin Callan (Head of Kyokushin Ireland) and Shane Mulhall (National Knockdown Squad coach) ultimately contributed to her sports career here in Ireland. her training sessions varies from 3 times per week up to 11 times per week depending on upcoming competitions and essentially her goals. Aneta believes that Kyokushin Karate has several benefits which would include: discipline, respect, art, fitness, empathy, and motivation. She also feels that it’s beneficial for both men and women. Aneta said: “Especially for all women out there, as it gives you confidence, raises fitness levels, and strengthens your physical and mental health without taking away your femininity, and in particular for children – not only because the sport improves fitness levels, full body strength and flexibility (thus setting them on a path to a brighter future without crippling injuries or ailments), but it also prepares children for life – making them more confident, resilient, respectful, and disciplined individuals and members of society. Arlette walking the walk and training with Aneta Meskauskiene for this piece!